For a change of scenery, our managing director Florence Fang ventured to Chiang Rai to check out what the northern region in Thailand has to offer. Below are six snapshots captured from her visit to the unassuming provincial town. 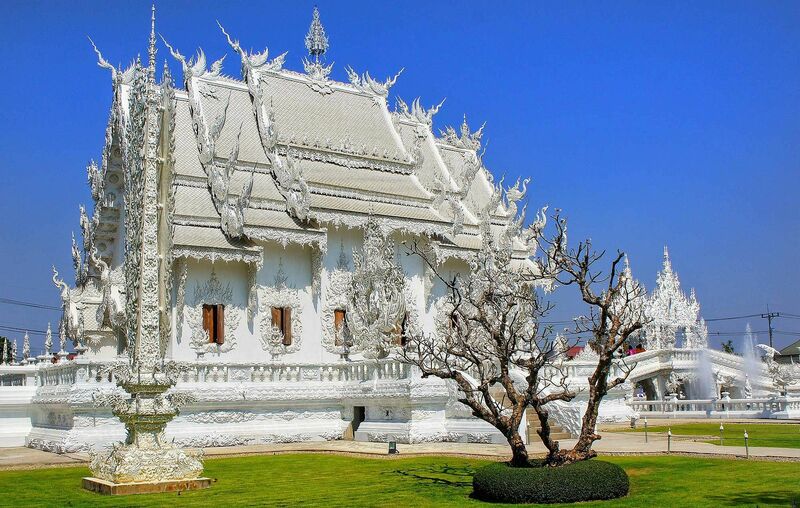 “Known to tourists as the White Temple, Wat Rong Khun is distinguished by its all-white, otherworldly facade. Wat Rong Khun is designed and owned by local contemporary artist, Chalermchai Kositpipat. As you cross the bridge over the water at the entrance, you will see a scupture of hundreds of outreaching arms and hands from the ground, which signifies the underworld. Inside, the temple's thought-provoking imagery continues. Artworks of war, death and destruction are crafted from floor, pillar to ceiling. Sadly, photography is not allowed in the temple. Interestingly, I felt at peace amidst these artworks—as I always do in the wats of Thailand." “Our next stop, Baan Dam (also known as the ‘Black House’) is a complete contrast to our first stop! Built in the traditional Lanna style, Baan Dam has a striking black-and-gold colour scheme that projects a gloomy feel. A unique creation of Chalermchai’s mentor Thawan Duchanee, Baan Dam is also the artist’s residence until his death in 2014. I was both apprehensive and intrigued to see what's inside." “Our third stop, Wang Rong Suea Ten, is the ‘youngest’ addition to Chiang Rai’s artistic and religious landscape. To be honest, I thought I’ve seen enough temples to impress me so far but Wang Rong Suea Ten still captivated my attention. Its walls and pillars are painted in vivid sapphire blue, featuring kaleidoscopic images of Buddhist lore. I spent a long time looking at every detailed painting, marvelling its beauty." "I had a wonderful time at Singha Park, a beautiful piece of land owned by Boon Rawd Brewery, the company behind Singha Beer. As an agro-tourism destination, there’s a lot to learn about the plants and flowers growing in the area. Our favourite spots are the tea plantation and the rubber estate. The rubber estate looked like it was snapped from a postcard, with bare branches and golden leaves on the ground!"